· Full Bathroom Refurbishments. Supply and fit. Fit only. Plumbing, Plastering, Tiling and Painting. We would arrange an appointment, listen to your needs and then send a free quotation. If agreeable we would take care of every aspect of the project for you. · General Plumbing. Radiators. Taps. Basins and sinks. Hot water cylinders. Pipe work. Toilets. Ball valves. Pumps. Loft tanks....and much more. · Power Flushing. Full clean out of your central heating system. We clean one radiator at a time using a pressure system coupled with the industry recommended cleaning agents. Removes all sludge, debris and harmful materials. Finished off with new inhibitors. Think of it like a full service for your car. Result is a more cost efficient heating system that does what it is supposed to, when it is supposed to, and prolonging it’s life expectancy. Recommended every 3-5 years. · Radiators. Valves, TRV's. Like for like installations. Fit only. Supply and fit. Relocate. Towel warmers. · Shower Installations. Complete new enclosures and trays. Over the bath showers. Concealed or exposed. Electric or Power showers. Repairs (Cartridge replacements, enclosures. upgrades). Leaks. Silicone. Grouting. · Water Leak Detection. Water supply issues. Pipe Repairs. 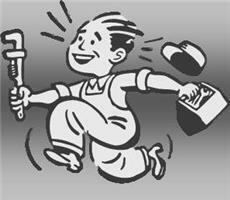 Plumbing Repairs, Water pumps. · Blockages. Toilets. Sinks. Basins. Drains. We are a family business that enjoys giving a friendly one to one service. We see our role as giving you what you want. We offer a range of services from fitting a new bathroom to changing a tap and everything in between. Whatever you may need us for, we try to make sure you are fully aware of what is going to happen, potential costs and benefits, before we even make a move. As you are the customer, you should be in control and in charge. As local plumbers in the area for the last six years we have enjoyed a solid and reliable reputation that we are keen to keep. To that end we try to be polite, punctual and professional. If you believe we could help you then please contact us and we will ensure you have a trouble free experience.